Health campaigners in Yorkshire protest "slash and trash plans"
"Slash and trash plans" is how campaigners from Health Campaigns Together renamed the government's Sustainability and Transformation Partnerships (STPs), the latest vehicle for cuts to the NHS. Just days after the last general strike that was called by the Sindicato de Estudiantes against the "Revalidas Fanquistas" (introduction of matriculation), we have been proved correct in what we always said - struggle works. As terms and conditions throughout the UK are being chipped away, incomes are tightening and security in the workplace is in jeopardy, Unison members voted in September to decide whether or not to strike over the 1.1% pay offer that was made to most members. Zac Goldsmith's humiliating defeat in the Richmond Park byelection was equally a defeat for Theresa May and the Tories. Her already weak government has seen its majority cut to 13. Here's the editors' test of our readers' knowledge. All the questions are themed from articles which appeared in the Socialist this year. You don't have to resort to using a search engine - the answers are below! It's one wold for the super-rich and another for the rest of us. What might the super-rich pick up as stocking fillers this Christmas? Meanwhile, child homelessness and in-work poverty continue to rise. 55% of poor people now live in working households - for the first time on record. 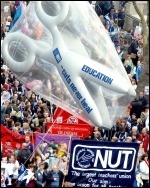 Teacher trade unionists have been engaged in a bitter struggle to defend education. As socialists, though, we don't simply see our role as a defensive one, but to offer a way out of the chaos: a socialist education programme. Corbyn's Labour has to push for a working class alternative in the move towards Brexit. Health workers are bracing themselves for a winter crisis. A tipping point has been reached in recent years. Is it any wonder that around the country a mood of anger and rebellion is rapidly developing? 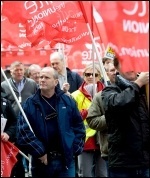 The attempted scabbing operation by Glasgow Labour council in an effort to undermine Unison's strike action against privatisation of ICT services has been pushed back. The political tremors of 2016 stretched into music with multiple deaths of well-loved figures. But there was a wonderful array of new music in 2016. It's clear from the off that Rogue One: A Star Wars Story, a spin-off from the main saga, is a little bit different. The whole scenario is an allegory for American imperialism and intervention in the Middle East, and the insurgency it has created. The young workers at the Picturehouse cinema in Hackney struck over the launch of the new Star Wars film, 'Rogue One'. A prison officer explains the truth surrounding the deal. The guaranteed three year pay deal of 0.5-1% a year is a fallacy: neither the government or the national offender management service have the power to implement this.